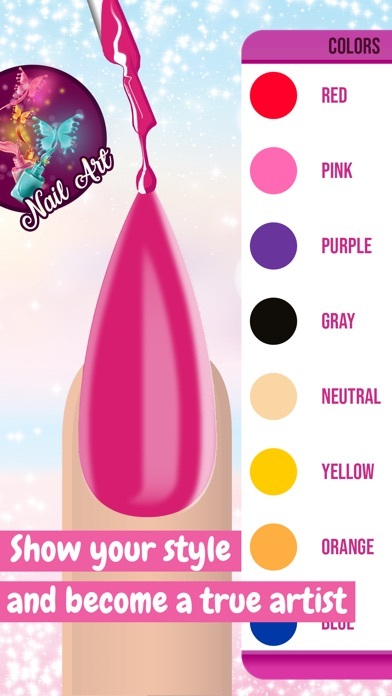 Decorating nails is the perfect opportunity to show your art talent! 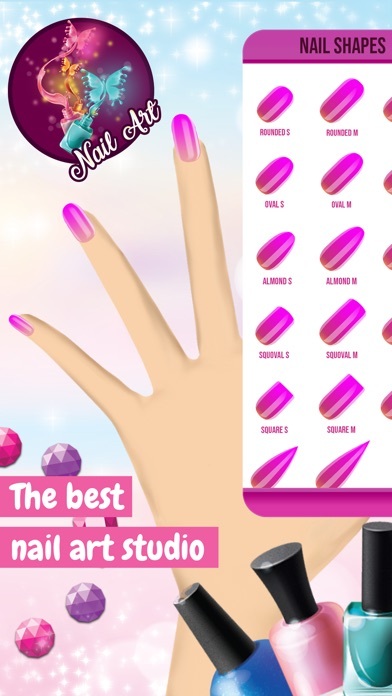 Start designing nails in the latest Nails PRO makeover salon with plenty of customization tools! 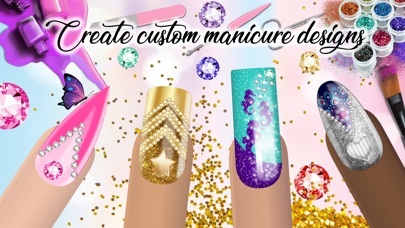 Gorgeous patterns and rhinestones, stamps and stickers, multiple nail shapes and brushes – all that and much more is waiting for you in this beauty studio! Turn your nail design ideas into reality! Be a true artist and share your masterpieces with friends. 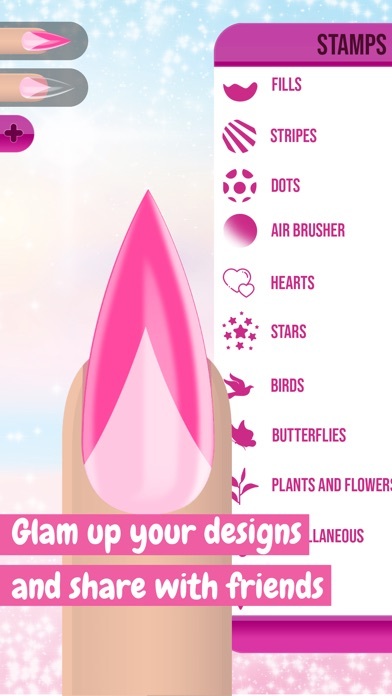 HOW TO USE: Customize: Skin color Nail shape – rounded, oval, almond, squoval, square, stiletto Nail size - S M L Top coat- clear, glossy, pearl, glitter, matte Wallpaper design *** Tap on a nail you want to decorate Choose the color from numerous color palettes Select the size of the brush Click on the + button to gain access to other amazing features for a new layer. * STAMPS & PATTERNS – fills, stripes, dots, air brushes, hearts, stars, butterflies and more! 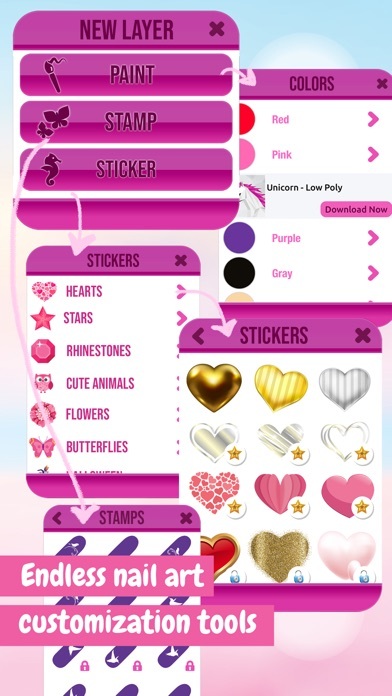 * STICKERS like hearts, plenty of stylish rhinestones, cute animals, mandalas, Halloween! Copy design to all nails or decorate each nail differently! Undo if you make a mistake! Save, share via social networks! 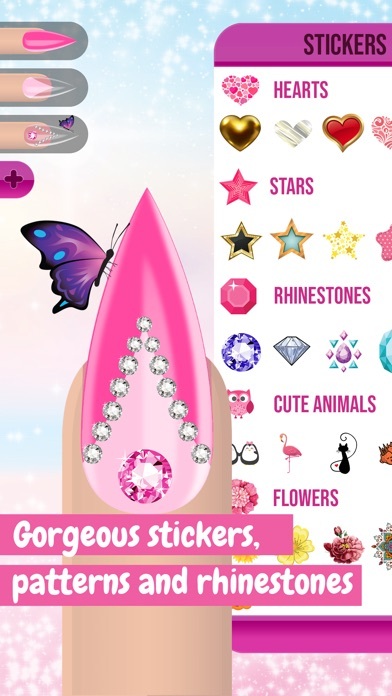 Nails PRO app is free to play, but additional content is be available via in-app purchases.